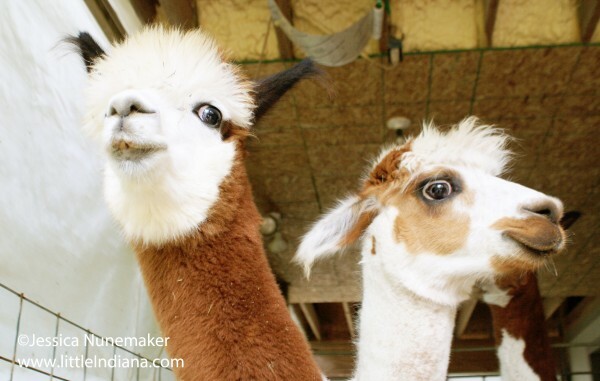 At Whispering Pines Alpaca Farm in Nashville, Indiana you get to pet and feed the alpaca. There’s no fence or cage blocking you either. This is your chance to hand-feed the alpaca inside their enclosure. It was an amazing and educational experience all in one. Our youngest son loved every minute spent at this Brown County alpaca farm. Whenever his back was turned they would rush over to smell him before jumping back when he would turn around. It was so cute. Our oldest liked learning about the alpaca (and thought their faces were pretty funny). Only the cutest fluffy-faced creatures ever. Think of an alpaca as a smaller version of a llama, except much friendlier. Did you know that some farms use llamas to protect their mild-mannered cousins? Llamas are bigger, double the weight of alpaca, and spit. Well, on the spitting part, they are both related. Both llamas and alpaca do spit, though alpaca mostly do it as a way to work out issues in the herd. Alpaca are from the Andes Mountains in southern Peru. They are used for their fibers, or fleece, and are a herd animal (meaning they don’t do well on their own–they need companionship from their same species). Interestingly enough, alpaca are actually a member of the species camelid, just not the usual humped camel we are used to. Alpaca belong to South American Camelids. There are two types of alpaca, huacayas and suri. According to Alpaca.info, huacayas have fluffy fleece that has a crimped look–and account for 90% of all alpaca. Suri possess a silkier fleece. They have been domesticated for thousands of years. Their fibers have been an important part of cultures around the Andes Mountains. Now, they are a part of the landscape in many parts of the United States. They are classified as livestock, just like sheep. 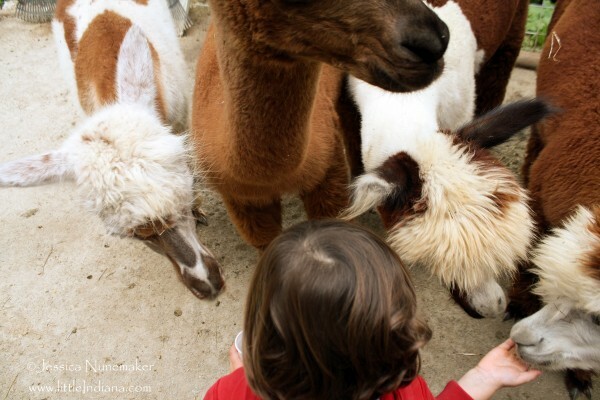 At Whispering Pines Alpaca Farm, you can get right in there with these sweet animals. Alpaca typically live for fifteen to twenty years. The owner is very knowledgeable about all things alpaca. You will learn about the alpaca, like what they eat, their personalities, and their stories. Children and adults will find it to be a wonderful, thorough tour. 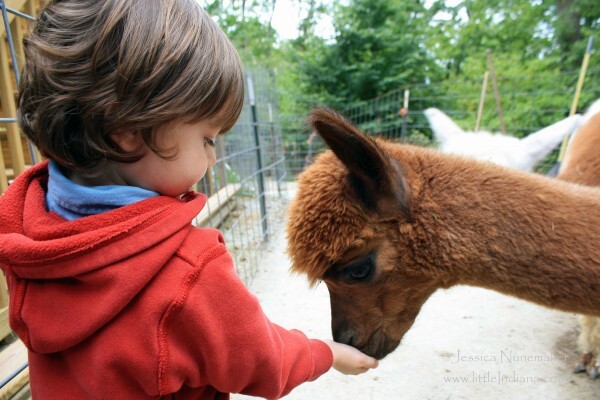 Have you been to Whispering Pines Alpaca Farm? What did you learn that surprised you? If you found this article helpful, please “like” it and share it with your friends. Owners Bill would like to give a personalized tour. Please call ahead to schedule a visit and get directions.